Since statehood, Alaska has been among America’s most important energy producing states, showing what can be achieved with foresight, determination and innovation. Alaska demonstrates that developing energy – to promote economic growth and to improve the lives of people – need not come at the expense of the environment or other natural resources. The Alaska experience also shows that energy policy has an important bearing on the trajectory of energy production. The United States bought Alaska from Russia in 1867 for $7.2 million (about $120 million today). While it was known that oil seepages were common in the territory, Russia had made no attempt to develop the oil there. The same was true for many years after America’s purchase. It wasn’t until the 1890s that the first oil claims were filed and first wells drilled, but efforts were sporadic, and Alaska’s distance from markets discouraged many potential investors. 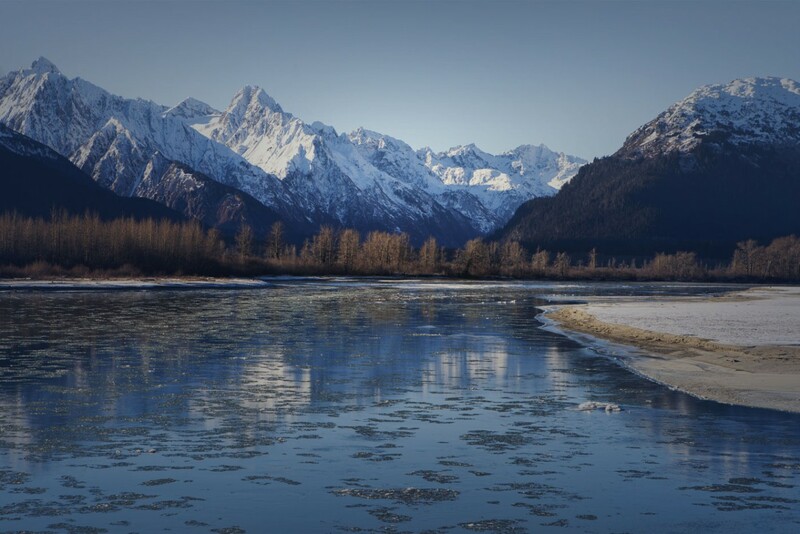 The first major commercial discovery did not occur until 1957 at the Swanson River Field on the Kenai Peninsula south of Anchorage. It wasn’t until the 1970s that production really took off. With petroleum production from the Lower 48 states entering a decline, a new oil discovery at Prudhoe Bay on the North Slope of Alaska offered the U.S. the opportunity for a significant new source of competitive domestic supply on a world-class scale. Initially, the oil find was estimated at 9.6 billion barrels, nearly double the size of the largest field ever previously found in North America. Despite high costs, hostile climate, logistical challenges, unsettled land claims and major environmental challenges, supply from Prudhoe Bay came online in 1977, offsetting most of the decline in Lower 48 supply through the mid-1980s. By the mid-1980s, the Alaskan North Slope supplied about a quarter of U.S. oil production. Meanwhile, as Prudhoe production grew, the estimated resource potential of the North Slope began to grow as well. As production continued, industry geologists and engineers devoted great effort to learn more about the resource. That, combined with technological progress, led to steady upward revisions of the estimated recoverable oil from Prudhoe Bay. Operations in the area led to a series of other major new discoveries nearby. Several of these discoveries rank among the largest in North America and gave rise to new development. The cumulative experience with Arctic operations and the use of new technologies have steadily brought down the cost of exploration and development. These cost reductions and the availability of North Slope infrastructure have encouraged development of smaller satellite fields that were identified during work on the major discoveries – further increasing production on the North Slope. Furthermore, after nearly four decades of oil development, the Alaska North Slope is one of the most intensively studied regions in North America (in addition to being the best understood environment in the circumpolar Arctic). Ongoing development, combined with the increasing availability of pipeline capacity as Prudhoe Bay production declines, also have stimulated interest in three adjacent areas thought to contain major resource potential – the Arctic National Wildlife Refuge (ANWR) to the east, the National Petroleum Reserve – Alaska (NPR-A) to the west and the offshore areas to the north. Although the potential for oil and natural gas production on the North Slope has grown over time, actual production has continued to diminish due in significant part to federal policies. North Slope production peaked in 1988 and by 1998 had fallen by nearly 40 percent. From a geologic standpoint, this decline results from depletion of the major initial discoveries at Prudhoe Bay after almost 40 years of production. In fact, declining costs and increasing resource estimates mean we should be able to recover more oil from the North Slope than ever before. Yet, the most significant barrier to Northern Alaska reaching its full energy production potential has been the federal government’s consistent policy of restriction and limitation in recent decades. It wasn’t always this way. In the late 1800s and early 1900s, the federal government helped encourage oil and natural gas development in Alaska. Significant areas of Northern Alaska were set aside specifically for oil development as early as 1923. More importantly, a series of federal oil and natural gas exploration and leasing programs have been administered in Northern Alaska intermittently since shortly after World War II. But following Alaska’s admission as a state in 1959, the vast majority of competitive leasing activity has taken place on state lands. As of mid-1999, federal leasing had failed to result in a single barrel of commercial oil production and only small quantities of natural gas production used by local villages. Nearly all of the Northern Alaskan oil development to date, which has included some of the largest resource discoveries in North America, has occurred on state and native lands – which are surrounded by vast expanses of federal property. The available geologic information for each of those federal areas strongly suggests that the resource potential there may actually far exceed the potential of state lands. Allowing access to those federal lands offers the clear potential to reverse the decline in Alaskan oil output. In fact, most if not all of the expected decline in Lower 48 supply over the next few decades could be offset by production on federal lands in Alaska. But that will not happen without a change in federal policy to allow more access and leasing. While about 700 leases have sold for offshore oil and natural gas exploration in Alaska since 2005, raising billions of dollars for the federal government, not a single well has been drilled to production depth, largely due to regulatory obstacles created by the government. High-interest areas like the Beaufort and Chukchi seas historically have been offered for sale through area-wide leasing. Area-wide leasing allows for the most complete assessment of an area’s oil and natural gas potential and is the approach followed in the Gulf of Mexico, which has yielded billions of dollars in federal revenues and a significant share of the nation’s energy production. Targeted leasing, which can severely restrict the potential for energy production, is typically used only in areas generating little interest in energy development. More blocks are typically leased through area-wide sales than targeted sales. Area-wide leasing offers the government more revenue potential, as well as information about subsea geology, while ensuring strong environmental protection. The largest lease sale in U.S. history, in terms of revenue raised by the government, was a $2.6 billion area-wide Chukchi sale in 2008. Even so, the Obama administration later cancelled four other lease sales in the Beaufort and Chukchi seas and wants to restrict future sales through restrictive targeted leasing. Policymakers need to embrace an “all-of-the-above” energy approach that includes our offshore resources in Alaska to create an energy plan for America that boosts, rather than inhibits, our economy. The development of oil and natural gas resources in Alaska’s OCS could produce almost 10 billion barrels of oil and 15 trillion cubic feet of natural gas – supporting almost 55,000 new jobs and $145 billion in new payroll nationally, as well as a total of $193 billion in government revenue through the year 2057. Increased OCS production in Alaska also would extend the operating life of the 800-mile Trans-Alaska Pipeline System (TAPS), a critical lifeline of domestic energy for America. Alaska‘s North Slope accounted for 25 percent of U.S. domestic oil and natural gas production in 1988, but production has plummeted because the government has largely prevented exploration for new resources. Total North Slope production fell to approximately 540,000 barrels per day in 2014, a 75 percent decrease from 1988. Two major resource areas offer opportunity for future energy development – the National Petroleum Reserve-Alaska (NPR-A) and Area 1002 of the Arctic National Wildlife Refuge (ANWR). Both are examples of potentially resource-rich lands that have not been developed because of federal policies. NPR-A was created in 1923 as a dedicated oil reserve at a time when the U.S. Navy was converting the fleet from coal to oil. It encompasses about 23 million acres and is the largest single block of federally managed land in the U.S. The U.S. Geological Survey (USGS) estimates the reserve holds 896 million barrels of oil and 53 trillion cubic feet of natural gas. In 2013, the federal government announced roughly half of the reserve would be put off-limits to oil and gas development and to date no commercial drilling for oil and natural gas has occurred. ANWR is about the size of South Carolina. It includes Area 1002, of which 2,000 acres – about the size of a major metropolitan airport – was set aside for potential oil and natural gas development in 1980. According to USGS estimates, Area 1002 holds between 4.3 billion and 11.8 billion barrels of oil. Actual development has been blocked by policy decisions in Washington, and in January 2015 the administration announced it would recommend that 12.28 million of ANWR’s 19.8 million acres would be placed into wilderness status, barring energy development. Access to oil and natural gas resources in the Alaska outer continental shelf (OCS) under balanced and science-based regulations is essential to the nation’s economy and energy security. The Arctic contains the world’s largest remaining conventional, undiscovered oil and natural gas, estimated at 13 percent of recoverable oil and 30 percent of recoverable natural gas resources. Alaska’s OCS is estimated to contain 48 billion barrels of oil equivalent, with more than 90 percent of this in less than 330 feet of water – where industry already has exploration and production technology and operating experience. Given the resource potential and long timelines required to bring Arctic resources to market, Arctic exploration today may provide a material impact to U.S. oil production in the future, potentially averting decline, improving U.S. energy security and benefiting the regional and overall U.S. economy. The search for energy resources in the Arctic is not new. Industry has extensive experience operating safely and responsibly in cold water and Arctic environments around the world, from Alaska to Norway to Sakhalin. Thirty-five wells have been drilled in the Beaufort and Chukchi seas with no measurable impact on the environment. Decades of industry operations in Alaska demonstrate that safety, environmental protection and respect for native communities and cultures are core values for the oil and natural gas industry. Based on current estimates, the Chukchi and Beaufort seas offer more energy resources than any other undeveloped U.S. basin. Fortunately, the federal Bureau of Ocean Energy Management’s draft leasing plan for 2017-2022 includes both these regions as targets for exploration and development. While the Arctic environment poses different challenges than a number of areas where industry operates, these are generally well understood. Industry has been working there for a long time, and going forward it is critical that the public policy debate is fact-based – safe Arctic development has been ongoing and will continue. We need to ensure performance-based regulations are implemented that will allow operators to minimize risks by taking advantage of evolving technologies to design well programs tailored to the ecosystem and geologic conditions of the particular well. The Trans-Alaska Pipeline System (TAPS) is one of America’s energy arteries, with the ability to transport oil from Alaska’s Arctic and OCS areas to the rest of the continent. Since opening for business in 1977, TAPS has strengthened America’s economy and energy security by moving 17 billion barrels of oil from the Alaska North Slope to the West Coast. This oil production has provided jobs and a secure supply of fuel to American consumers in the growing states on the Pacific Coast. TAPS’ design was based primarily on the soil conditions found along the right-of-way. There were two principal pipeline designs: above ground and below ground. To avoid potential problems with permafrost, the pipeline was built above ground on vertical support members (VSMs). In areas where either unfrozen or thaw-stable permafrost were encountered, the pipeline was buried conventionally. Special below-ground burial sites are used in areas where thaw-unstable permafrost was found but where the pipeline had to be buried for highways, animal crossings or to avoid rockslides and avalanches. Approximately half of the 800-mile-long pipeline is above ground, half is below ground. The pipeline is surveyed several times per day, mostly by air. Foot and road patrols also check for problems such as leaks or pipe settling or shifting. A key diagnostic tool is the pipeline “pig”—a mechanical device sent through the pipeline to perform a variety of functions. Corrosion control along buried portions of the pipeline is assisted by sacrificial anodes – easily corroded materials deliberately installed along a pipe to be sacrificed to corrosion, leaving the rest of the system relatively corrosion free. This reduces corrosion caused by electrochemical action that may affect buried sections of pipeline. A decline in Alaskan oil production could force TAPS closure decades before the end of its useful life, because at some low-volume level the pipeline will become impossible to operate and maintain in a cost-effective way. Exploring for and producing new oil prospects in offshore Alaska and on the North Slope is essential to slowing and reversing the declining trend in Alaskan oil production that threatens the viability of this key energy lifeline. Sustaining the movement of oil through TAPS will enhance America’s energy security and generate continued job creation for Alaska and the nation. 94 PERCENT of registered Alaska voters agree that increased production of domestic oil and natural gas resources could lead to more jobs in the U.S.
92 PERCENT say that increased production of domestic oil and natural gas resources could help stimulate the economy. 91 PERCENT say that it is important to them to produce more oil and natural gas here at home. 87 PERCENT say that increased production of domestic oil and natural gas resources could help strengthen America’s energy security. 83 PERCENT say that they support increased production of oil and natural gas resources located here in the U.S.
75 PERCENT say that producing more domestic oil and natural gas could help lower energy costs for consumers. API is the only national trade association representing all facets of the oil and natural gas industry, which supports 9.8 million U.S. jobs and 8 percent of the U.S. economy. Today’s poll shows strong majorities of Alaska voters support more domestic oil and natural gas development, regardless of party affiliation. Perhaps more than any other state, Alaska understands the connection between access to energy resources and good public policy. Alaskans recognize the possibilities for America’s economic future. While the availability of affordable and reliable domestic energy creates opportunity, success depends on the policies created today.